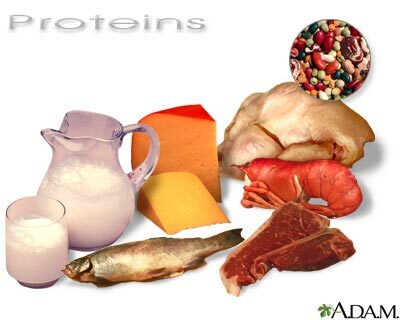 Protein is an important nutrient that builds muscles and bones and provides energy. Protein can help with weight control because it helps you feel full and satisfied from your meals. The healthiest proteins are the leanest. This means that they have the least fat and calories. The best protein choices are fish or shellfish, skinless chicken or turkey, low-fat or fat-free dairy (skim milk, low-fat cheese). The best red meats are the leanest cuts (loin and tenderloin). Other healthy options are plant-based proteins.